Description: Send and receive SMS messages via a GSM/GPRS modem, HTTP-POST provider, SMPP provider or TAP/UCP provider. Send and receive MMS messages via MM1 (GPRS), MM4 (SMTP) or MM7 (XML/SOAP). Use it in your Microsoft Visual Studio ASP.NET, Visual Basic .NET, CShare C# .NET, VB, C++, Java, Delphi, PHP, HTML and more. Runs on any Windows x86/x64 platform, including Windows 2008, 2003, 2000, Windows 7, Vista and XP. Description: Instant Messaging Server for internal and secure chat, IM and collaboration over corporate and business networks. It provides Active Directory support, message and file archiving, offline messaging and document distribution with a strong encryption of data. Offers various authentication modes to accept user connections, manages user groups from a single place, handles easy and effective distribution of documents and important events to employees. Description: This business messenger helps to improve IM and real-time communications over office LAN, corporate and enterprise networks. It requires an IM server and provides encryption of personal instant messages and group file transfers. The collaboration server offers archiving and logging, offline and urgent messaging with document exchange, supports Active Directory integration with easy distribution of IM client updates including branding support. Description: Fast and managed one-way instant messenger that keeps employees informed and updated securely just in a few seconds. It is ideal for use in medical and educational networks to receive urgent messages, high-priority events, alerts and documents sent by administrator and other co-workers. 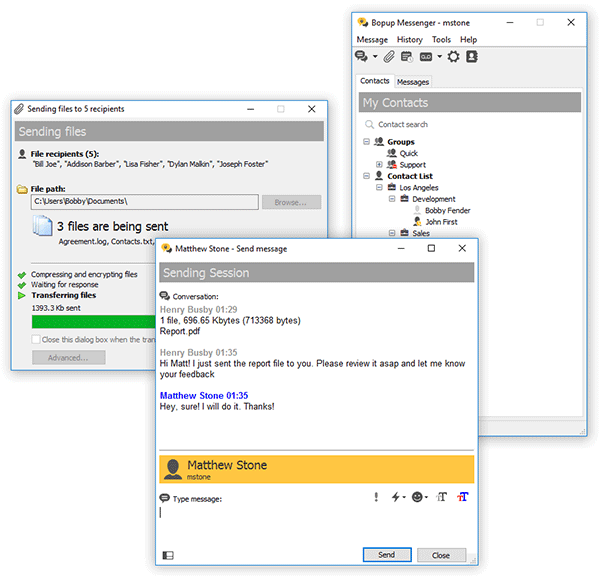 The messenger connects to an IM server which provides automated, planned and offline messaging with a chat history. Terminal and Citrix env. are fully supported. 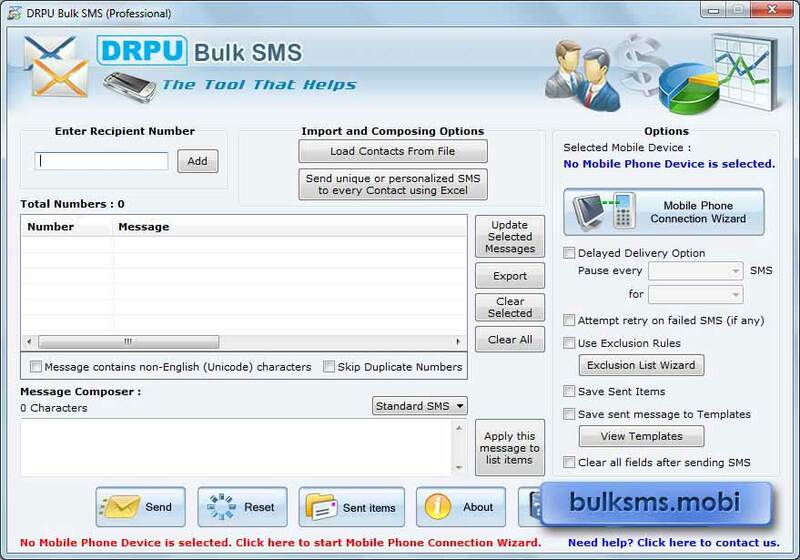 Description: Bulk SMS software from www.bulksms.mobi facilitates you to get in touch with your parents and other relatives b by sending group sms to them. Global sms messaging utility enables both technical and non technical users to operate the software very easily. Description: Advance technical software from www.bulksms.mobi provides solution to keep connected with family by sending SMS without internet connection. Bulk SMS Software GSM Mobile is capable to forward limitless text from system connected with GSM phone. Description: Want to deliver bulk sms without use of web connection? 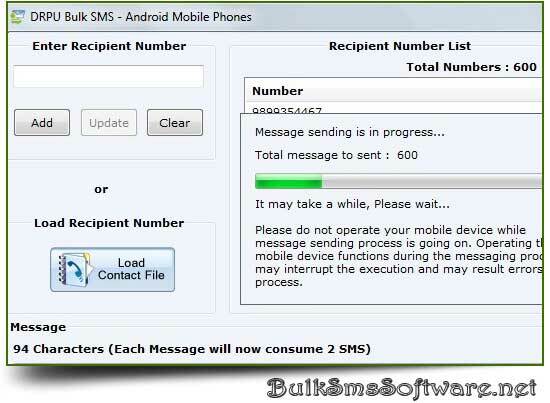 Android Text Messaging Software is available at www.bulksmssoftware.net that enables user to create and transmit thousands of text messages to communicate with global mobile audience. Description: MSN Slide Max enables you to make fantastic slideshows as your display pictures of MSN Messenger. It supports all versions of MSN messengers including version 2009. You can search and download display pictures online and change personal messages with pictures automatically. It also automatically resizes and edits your display pictures and change pictures when your status changes. You can even make animation slideshows as display pictures with it. Description: The program has been created as general application for security cross platforms working all together with wireless and wired IP webcams, Television-cards, capture cards, power-line, and USB webcams. It has web interface with the equal form and controls on the local and remote pcs.